Set up in March 2008, Churchill Jazz Band has quickly become one of Cambridge's premier Big Bands, and a firm favourite with society and college events looking for high quality music AND value for money. Having performed at many balls, society dinners, garden parties and jazz nights, the band is experienced in making everything run smoothly and ensuring that your guests have a fantastic time. 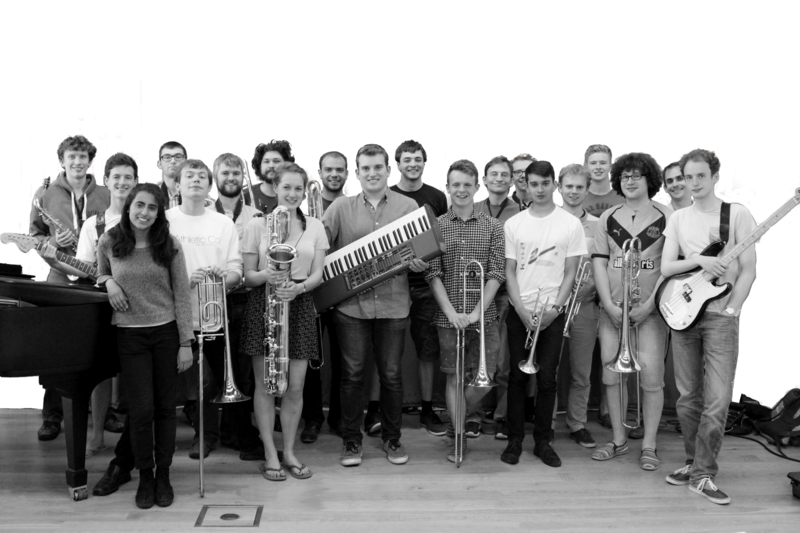 We draw on some of the most talented players from across Cambridge University who come from various subjects and backgrounds but all share a passion for jazz! Our repertoire is varied, ranging from big band classics, through all genres of jazz, to funk, soul and pop. We can also try to accommodate requests with enough notice! "Such a treat", "Terrific musicianship and arrangements", "So much talent!" "Highlight of the night for me"
"The guests absolutely loved your performance!" "Thanks so much again for last night, you were all really fantastic ... and everyone had a really great time." "Polished delivery ... a confident, tight and enjoyable performance"
Thank you so much for your performance at the CUJS Ball! The guests absolutely loved it- the reception music set a perfect atmosphere to complement the champagne and the venue, and the dinner music was enjoyed by all - especially James' lyrics! I just wanted to let you know that one of the sponsors who attended the Ball was very, very impressed with Churchill Jazz, to the point where she would personally recommend it to anyone seeking such a band. It was the highlight for her and I suspect many others too, so please pass on the message to the rest of the band, and thanks for putting on a great performance! A slick set from Churchill Jazz Band in the beautiful College Chapel gave the evening a touch of class.